Look out world... Create 10 is here! With a fresh face, SoftChalk is here to give you the latest and greatest version of Create as well as an all new SoftChalk Cloud eBook creation and publishing feature available soon! 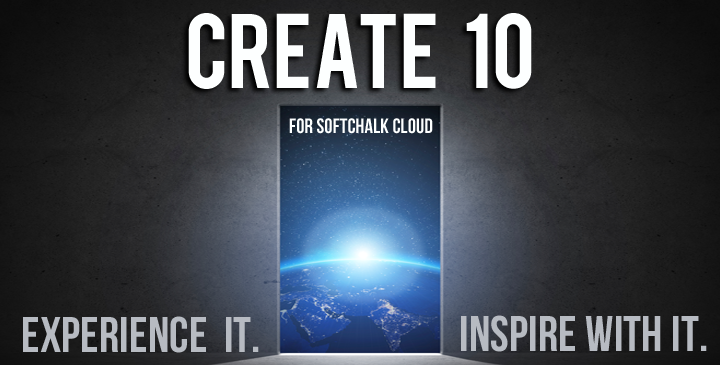 So, what exactly is SoftChalk Create 10 bringing to the table and what does that mean for you? Well, first it means that you will have the ability to add even more pizazz to the styling of your lessons! Sleek designer headers and Callout Boxes offer you a range of options to brand your lessons and give them the look and feel you desire. With a Callout Box, you can accent a specific point of the lesson you wish to focus on or simply add additional information for your students to focus on. The possibilities are endless. Second, you get three additional quiz types to choose from! You asked for them and we listened. Available upon release you will have the option to insert a Sentence Completion QuizPopper, Multiple Blanks QuizPopper or a Feedback Question; all designed for even more flexibility on testing what your students know! Not only will these three new quiz types be available but we have a polished new look and interface for all quiz and activity types that will surely engage your students and inspire them to learn. We hope that you find Create 10 will help bring curriculum development to the present day technological forefront. There is no better time to check out SoftChalk's latest product release and see for yourself the possibilities you have to create engaging and inspiring content for learners of all abilities.